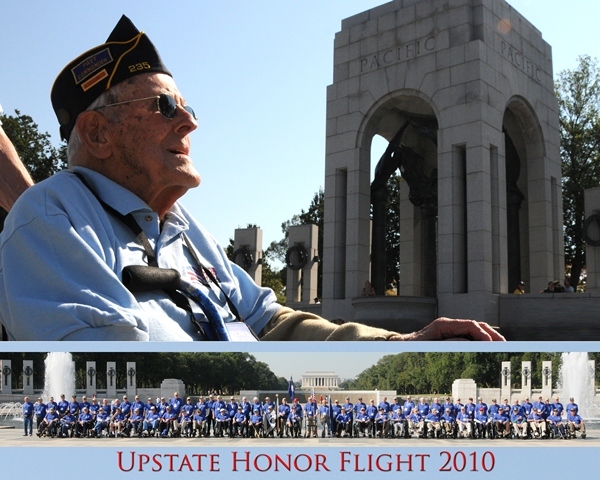 Your donation will be used to help transport World War II veterans to Washington, DC to visit THEIR memorial. These veterans have waited over 60 years for a memorial most will never see without the help of compassionate people like you. These trips are not possible without the support of the American public. Each trip carrying approximately eighty veterans cost $50,000. Our veterans had previously given up all hope of ever seeing the memorial that honors their service and the ultimate sacrifice of their comrades. These brave men and women who served in World War II are 80 years old and older. In 2012, approximately 800 World War II veterans died each DAY. The average life expectancy for an American male is 74.4 years. In another 5-6 years almost all of our World War II veterans will be gone. We cannot wait, we need to help them get to Washington as soon as possible while they are still able to make the trip. This trip may be their “last hurrah,” the last time they will be recognized as heroes and conquering victors that collectively and literally saved the world. All day long they will be thanked, recognized and admired for their service. These veterans will remember the kindness and adoration shown to them for the rest of their lives. Donations of any amount will be appreciated and acknowledged. For more information, email or call us.